PropertyFiles | Point Marketing Limited| Fully managed email marketing specialists also manage socal media advertising campaigns and other forms of online marketing campaigns. Generate leads off the internet, save time and grow your database with PropertyFiles. PropertyFiles is a file hosting service for information on properties for sale. Real estate agents use PropertyFiles to generate a higher number of qualified leads off the internet, grow their database, and save time streamlining the distribution of documents on their listings. Buyers use PropertyFiles to get additional information on a property they are interested in by registering their name, phone number and email address on the PropertyFiles form. Since PropertyFiles was launched in late 2010, over 10,000 buyers have registered, with the average response rate of 20.85 leads per property. Free Reports are $50+GST per property, and can include any files the agent want such as Title, Rates, LIMs, Sales stats, Rental appraisals, etc. 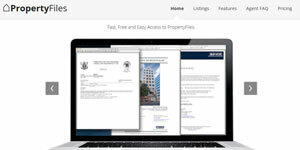 Each PropertyFile is also promoted on PropertyFiles website and emailed to a database of over 3000 registered buyers. This system is the best thing that has happened to my business. It frees up my time from not having to make as many unproductive phone calls. PropertyFiles enable our real estate clients to deliver to buyers the information they require, in an efficient and effective way.